It’s time for another batch of incredible images from the thriving alternative art community! So far I’ve revealed my personal favorite posters that pay tribute to: Jaws – Stephen King’s IT – Alien – The Shining – The Thing – Ghostbusters – Jurassic Park – Scream – A Nightmare on Elm Street – Halloween 3: Season of the Witch – Halloween – Silence of the Lambs – The Friday The 13th franchise – An American Werewolf in London – The Fly – Gremlins – The Texas Chainsaw Massacre – The Terminator – Wes Craven – Carrie – Trick ‘r Treat – SAW – The Descent – The Exorcist – Cloverfield and The X-Files. 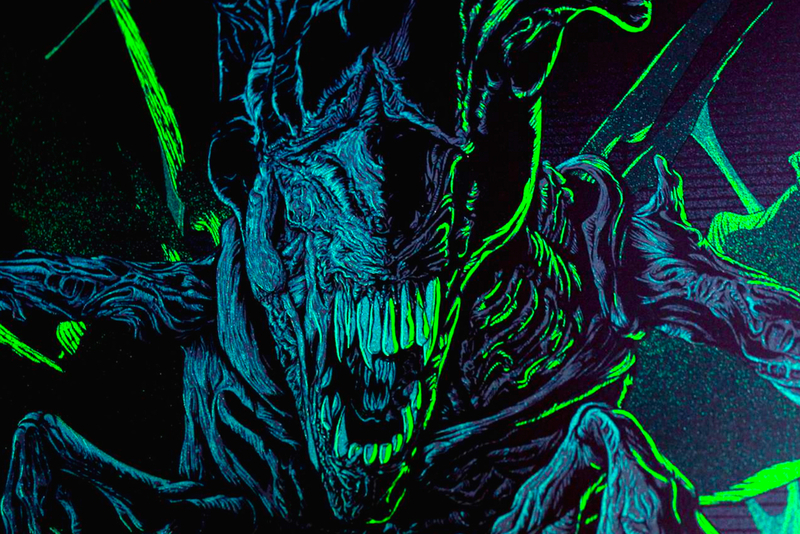 At the time of publishing this article we are coming toward the end of the inaugural “ALIEN DAY”, and I can’t think of a more perfect moment to explore some stunning alternative art linked to James Cameron’s Aliens! As always this list showcases MY personal favorite posters, the select few that pushed my art loving buttons and made me want to head into deep space on a “bug hunt”. There are hundreds more incredible designs out there, but these are the best of the best in my humble opinion. 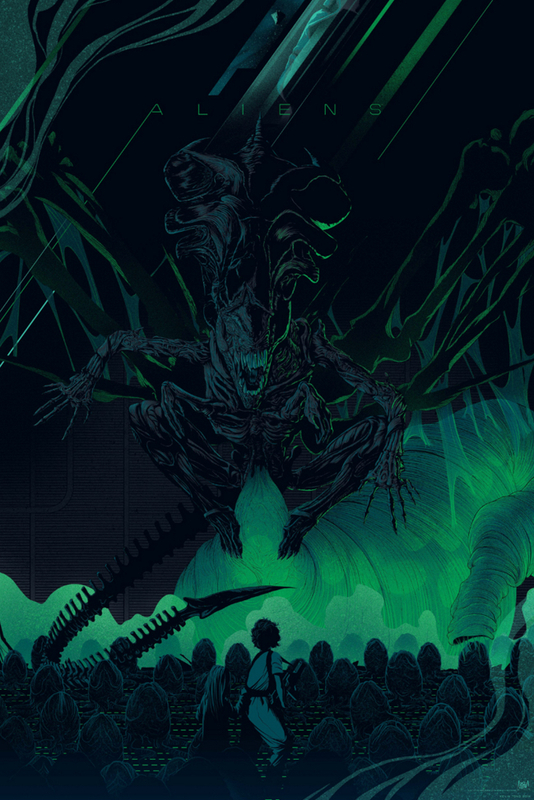 A truly epic poster by Kevin, who has beautifully illustrated Ripley’s unforgettable confrontation with the Alien Queen in the egg chamber. There is a variation of this poster that features an orange color scheme, but I’ve chosen this green edition because I personally think it compliments the featured moment in a familiar and perfect way. One of the most pleasing and powerful alternative posters I’ve ever seen. 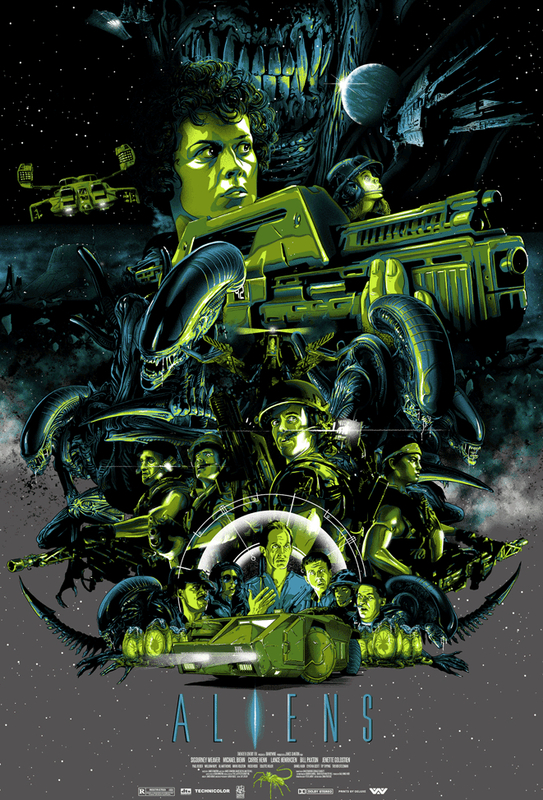 What’s the most memorable moment from the entire Alien franchise? Most people would probably select John Hurt’s explosive indigestion from the original movie, but I personally lean toward Ripley’s power loader entrance and battle with the Queen. 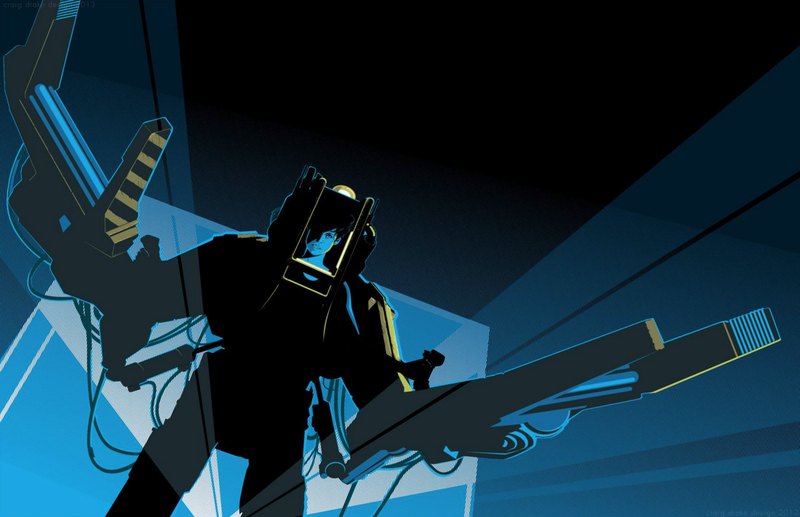 Craig’s tribute to this overwhelmingly exciting climax is stylish, clean and I LOVE the lighting effect! More panoramic perfection from Mark, who has pulled together all of the featured locations from the surface of LV-426 and ended up creating this insanely awesome print. He also treated us to a wonderful insight into his creative process by allowing fans on facebook to follow the creation of this poster from start to finish. Updates appeared almost daily, and we got see the piece coming together step by step, from rough sketches to final layers of color – it was utterly fascinating. A kitchen sink masterpiece from Vance, who manages to include just about every character and vehicle/ship you could possibly hope to see! The limited color scheme really enhances the atmospheric quality of the piece, and the end result is big, bold and brilliant! Weapons taped together, alone and rapidly running out of time – the last twenty minutes of Aliens is heart-pounding movie action that just gets better with age. 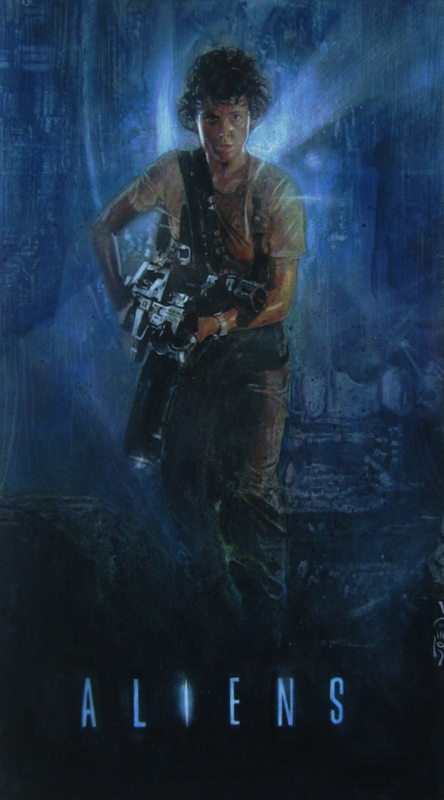 Ripley’s journey into the darkness to find Newt has become visually iconic, and this traditionally illustrated piece by Joseph has been a favorite of mine for several years. From Ripley’s nervous but determined expression to the metallic blue lighting behind her, it gets everything right! 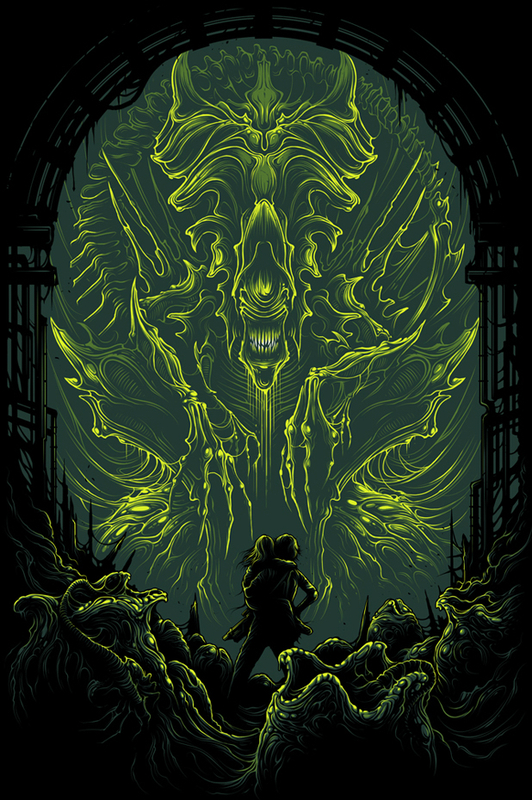 A genuinely haunting poster by Randy, that makes you consider just how isolated and vulnerable Newt was before Ripley and the Marines arrived. The level of detail here is incredible, and I’m pretty sure I had a nightmare just like this once! I spend my life complimenting Dan, and I’m fairly sure he features on these lists more than anyone else. 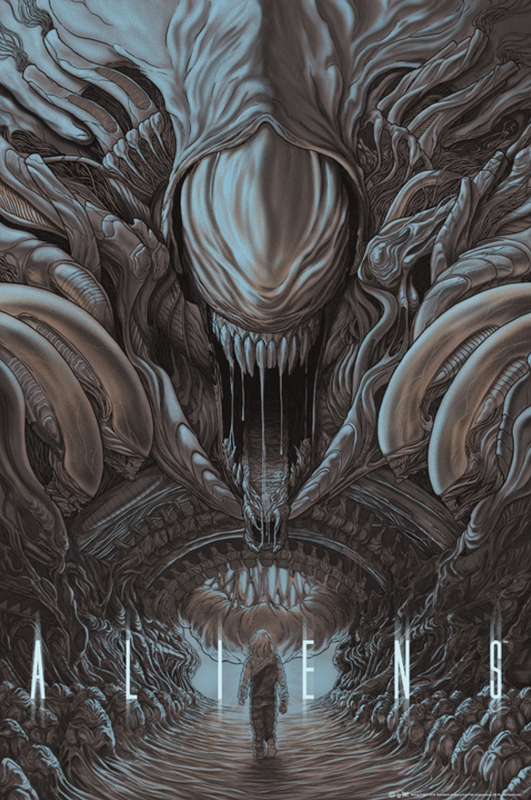 We finish for today with another organic masterpiece by this digital art wizard, and I can guarantee you’ve never seen the Alien Queen looking this ominous, abstract and terrifying. A unique poster by a unique artist.